Reviving forgotten family stories is what I love to do and a pair of dusty old photograph albums has given rise to a fascinating tale that began in Victorian Yorkshire and ended more than a century later near Victoria, BC. 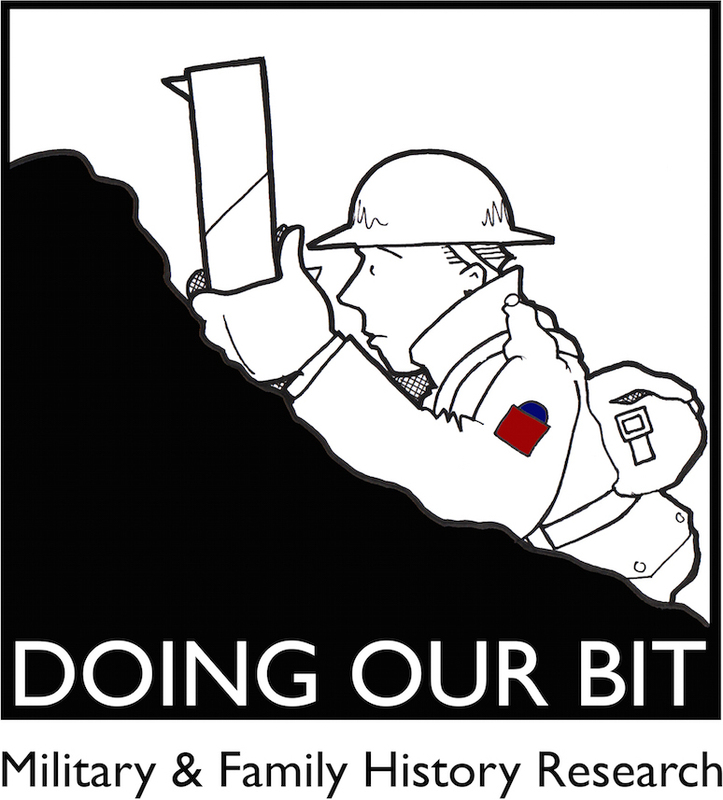 Part one of this three-part story focuses on ‘Uncle Jim’, a Lieutenant in the King’s Own Yorkshire Light Infantry (KOYLI) who lost his life on the Somme in 1916. James Atkinson-Jowett was born in Doncaster in 1893 to Nathan Atkinson-Jowett and his second wife Fanny Thornton. Nathan, a wealthy Yorkshire businessman, had 7 children from his first marriage to Mary Ann Booth, including Sarah Emily who would later marry Rev. Albert Philip Gower-Rees.¹ Sarah and Albert had three daughters to whom James was ‘Uncle Jim’. James was admitted to Giggleswick School in 1906 where he studied until 1911. In the following year he entered Lincoln College, Oxford where he read theology. Unfortunately war intervened and he never did complete his degree¹. On October 9, 1914 James joined The Inns of the Court OTC (Regimental #1658) and was commissioned as a Temporary 2nd Lieutenant in the 11th Battalion, KOYLI on November 14th. He was later attached to the 6th Battalion which was to arrive in France, at Boulogne, in May 1915. An article in the Lancaster Guardian (dated September 30, 1916) indicated that James was seriously wounded on September 1, 1915². He likely convalesced for some time in England but I believe the photos featured in this article were taken when he visited his step-sister Emily at the their family home prior to his heading to France earlier that year. At some time between 6am and noon on August 19th the war diary reports that James received a gunshot wound to the neck. 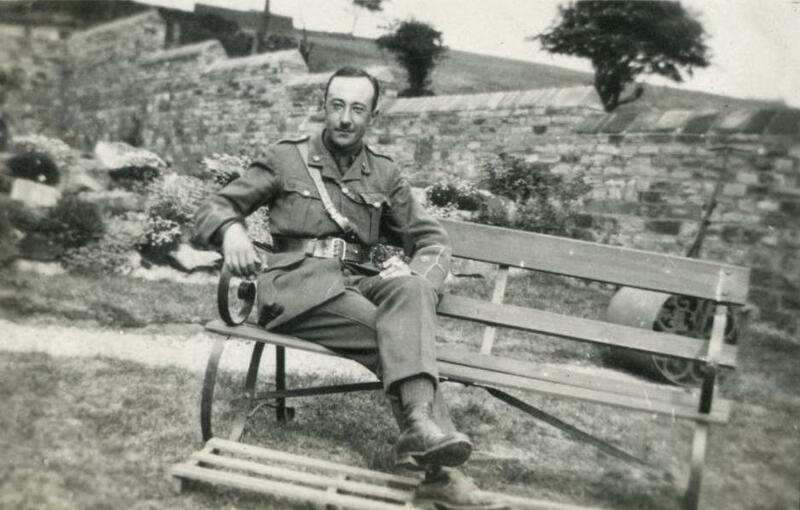 This kept him out of action until September 8th when he rejoined his unit at their camp at Dromesnil. In September 1916 the 6th KOYLI took part in the battle of Flers-Courcelette. 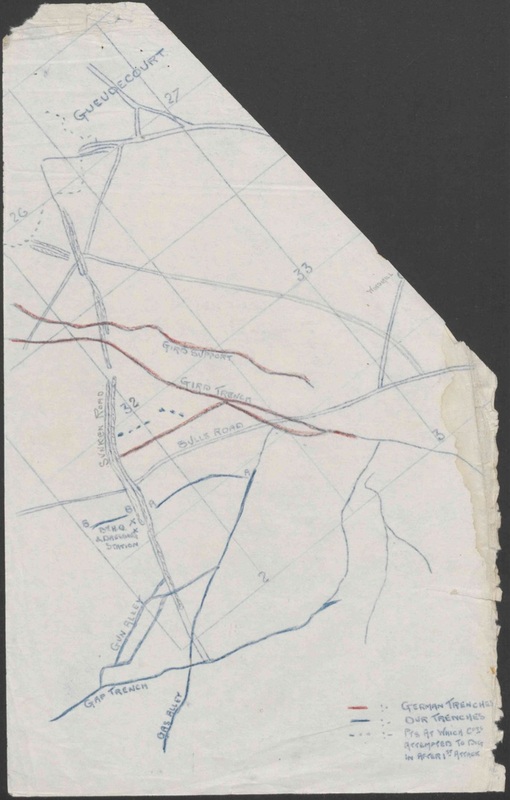 On the night of September 15th Y and Z Companies along with Battalion HQ advanced along the eastern edge of Delville Wood, eventually reaching their objective at 1am on the 16th. At 9:25am they followed in close support of the 6th Somerset Light Infantry and 10th Durham Light Infantry who were ordered to attack GIRD TRENCH. The Somersets failed to achieve this objective but did reach a trench about “70 yds N of the sunken road“. At 6:20pm the 6th KOYLI received orders that the attack was to be continued at 6:55pm. The frustration felt by the Commanding Officer on this appalling lack of communication was noted, with emphasis, in this war diary excerpt. The body of James Atkinson-Jewett was never found but he is commemorated on the Thiepval Memorial. In 1926 the Gower-Rees family visited the cemeteries and battlefields of France and Flanders, including the sunken road where James died ten years earlier. Their visit will feature prominently in part three of this story. My great grandad Edward England was in the 6th KOYLI and was killed in the same battle on the same day. I read this with great interest. I’ve got some information about Edward in the war if any use drop me an email.